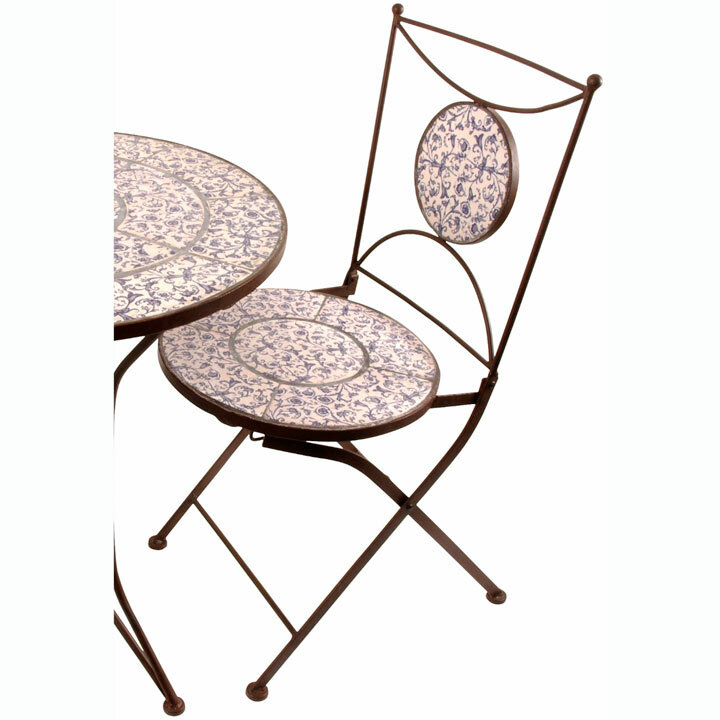 This traditional garden chair features a forged steel frame and patterned ceramic seat. 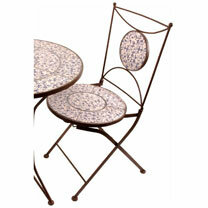 Perfect for enjoying those warm summer evenings in the garden. Dimensions 42 x 54.2 x 88.5cm. (Matching table also available).